The majority of Pop-up campers on the market have soft or hard sides with a hard shell for a roof. Pop-up camping trailers have been a worthwhile invention for a lot of families of outdoor enthusiasts. 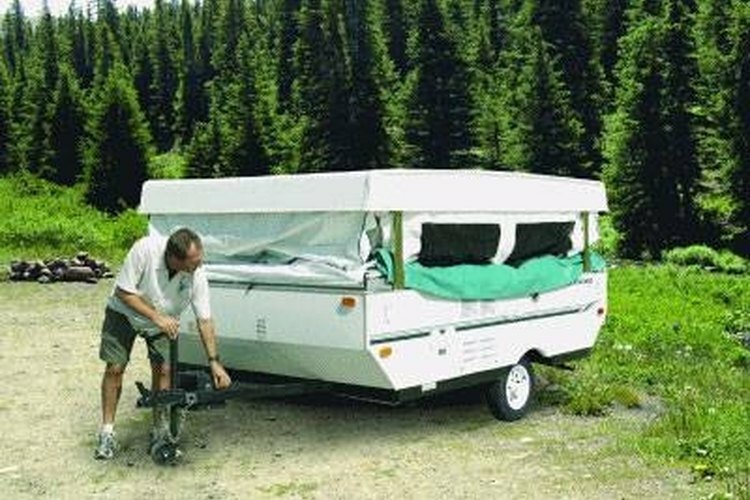 Camping trailers combine the convenience and amenities of a larger camping trailer with the portability of a large tent. Largely maintenance free, there are problems that occur with pop-up campers, in particular the camper shell used to house the internals of the trailer. In many cases, this hard outer shell can become brittle and crack from the cold or many years of hard use. Replacing the entire shell is extremely expensive even on smaller trailers and is not cost effective, however trashing the trailer simply for a cracked camper shell is also uncalled for. There are ways to fix the camper shell and insure many more nights under the stars with your camper. This article will explain one of the most effective and easiest methods for fixing a cracked camper shell. Isolate the crack in its entirety and mark it using the permanent marker. This allows you to be positive that you will fix the entire broken section and not miss part of the crack that could still allow moisture in. Use the sandpaper to scuff the area around the crack and the crack edges themselves. Spread out the fiberglass cloth and cut it to effectively cover the crack, with a 2 to 3-inch overlap from the edges. Mix up the fiberglass epoxy and spread a thin layer on the crack and a couple of inches around the cracked area. Lay a layer of fiberglass cloth on the epoxy and then swab another layer of epoxy over the cloth. Repeat this process 2 to 3 times to build up a sufficient layer of fiberglass over the broken area. Allow the fiberglass resin to dry indoors for at least 24 to 36 hours. Once the fiberglass is thoroughly dry, light sand the edges and the surface of the fiberglass patch. Use the alcohol swabs to clean the dust off of the fiberglass area. Paint the area using the bottle of touch up paint that matches your camper top color. Allow to dry for 24 hours and then get camping! Applying 3 to 4 layers of fiberglass should be sufficient to create a strong and water tight patch. If the area is in a high stress zone (like the corners) apply at least 6 layers of fiberglass and resin. Be careful when sanding the cracked area as the camper shell can be quite sharp and could cut your hands. Wear gloves if necessary.